Are You Overdue for a Dental Cleaning? Have you had a teeth cleaning this year? Professional dental cleanings aren’t just for keeping your smile bright; they can have a significant impact on your general health. Insufficient oral hygiene has been linked to several serious illnesses. Associated medical and dental issues include bone loss, cardiovascular disease, strokes, cancers, and many other problems. Brushing and flossing at home are essential, but to ensure teeth are healthy and thoroughly clean, you should schedule regular check-ups with your dentist and annual dental cleanings with your dental hygienist. Here are seven reasons professional cleanings are so important. Your dental hygienist can remove most of the stains that dull and discolor your teeth, so you’ll be left with a brighter, whiter smile. Having your teeth cleaned can prevent gum disease, which leads to early tooth loss. In America alone, one person dies from oral cancer every hour, but many of these cancers are curable if detected at an early stage during a routine cleaning. A strong link exists between cardiovascular disease and gum disease. Because getting your teeth cleaned twice a year helps prevent gum disease, it can also reduce your chances of potentially deadly heart attacks and strokes. During a professional dental cleaning, it’s easy for your dentist to detect early signs of problems such as broken fillings and fractures. Many dental plans cover cleanings, and you’ll save money on dental expenses in the long run by taking advantage of your policy. If your dentist finds any serious problems during a teeth cleaning or exam, the office can help you make financial arrangements to cover the necessary procedures. 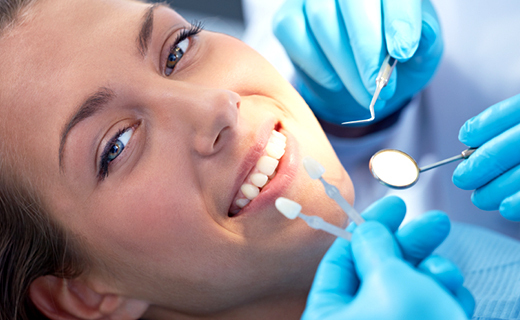 Professional dental cleanings give your dentist or hygienist an opportunity to compare the state of your oral health to that of previous visits. If you’re moving in the wrong direction, immediate intervention can put you back on track. Regular check-ups and dental cleanings help prevent and resolve persistent bad breath. Very efficient, pleasant and professional staff. Dr. Miller is fantastic! Great experience! Great Dentist and Staff!